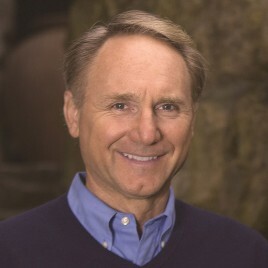 Dan Brown is the author of numerous bestselling novels, including The Da Vinci Code, which has become one of the best selling novels of all time as well as the subject of intellectual and religious debate among readers and scholars.Brown’s novels are published in 56 languages around the world with over 200 million copies in print sold. In 2005, Brown was named one of the 100 Most Influential People in the World by TIME Magazine, whose editors credited him with keeping the publishing industry afloat; renewed interest in Leonardo da Vinci and early Christian history and spiking tourism to Paris and Rome. He was born in Exeter, New Hampshire, the son of a mathematics teacher and a church organist, after whom he inherited interest in music. He is a graduate of Amherst College and Phillips Exeter Academy, where he later lectured. Already a pupil of a prep school, he developed a fascination with the paradoxical interplay between science and religion. These themes eventually formed the backdrop for his books. So far the following Brown’s books: The Da Vinci Code, (also a version for young readers), Angels and Demons, Inferno, The Lost Symbol, Digital Fortress and Deception Point have been published in Poland. The premiere of his most recent novel, Origin, is due early in October.